Boys all events winners (from left) Muhd Hazim, Ivan Tse and Ahmad Azriq. Girls all events winners (from left) Gillian Lim, Puteri Nurul Dini and Zong Shin Yi. Boys Team winners posing with their medals after the prize presentation. 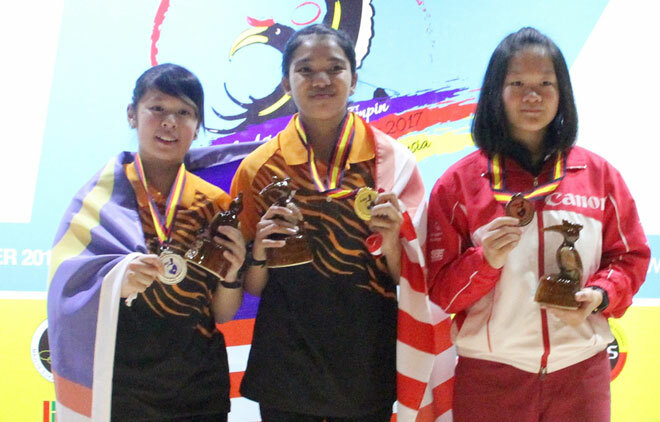 KUCHING: Malaysia A are on course for more podium finishes in the 18th Asian School Tenpin Bowling Championships at Megalanes Sarawak, Batu Kawa today when six of its bowlers finished among the top eight in the first block of both the boys and girls Masters events. Alex Yu of Hong Kong A is in the lead after the first block of eight games in the Boys Masters with 1,918 pins, averaging 232 pins a game. He is followed by Malaysia A’s Muhd Arif Iskandar with 1,904 pins and Shoumick Datta of India with 1,842 pins. 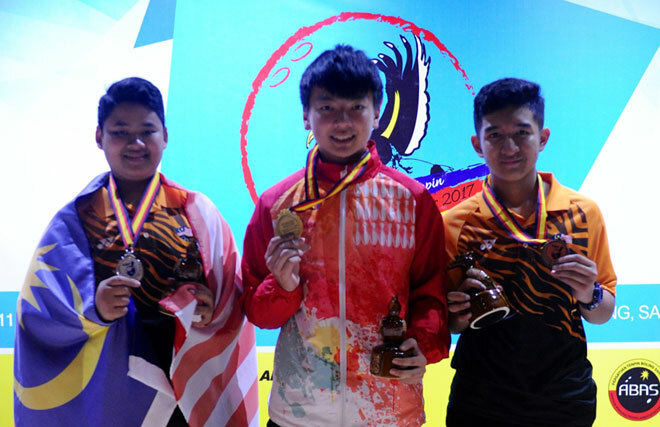 Boys singles gold medallist Ivan Tse of Hong Kong is in fourth place with 1,802 pins while the fifth to eighth positions are occupied by Malaysia A’s Tun Ameerul Hakim (1,780), Muhd Hazim (1,703) and Ahmad Azriq (1,697), and Australia A’s Rhys Woszczeiko (1,694 ). 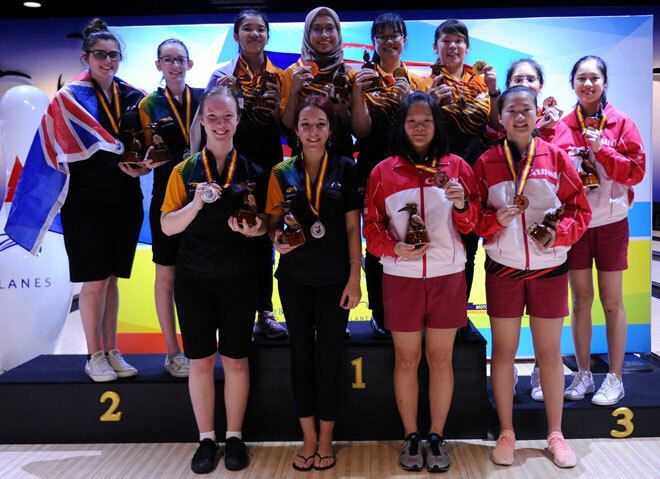 In the Girls Masters, Fiona Yew Hiok Heng of Singapore A is topping the 16-bowler field with 1,649 pins and her compatriot from the B team Nur Amirah Ng is just 24 pins behind her while Malaysia A’s Puteri Nurul Dini is in third spot with 1,623 pins. The other top eight spots are occupied by Singapore A’s Shin Zong Yi (1,607), triple gold medalist Gillian Lim (1,606) from the host country, Chloe Jones (1,591) from Australia A, Fion Liew (1,570) from Singapore and Emily Johnstone (1,558) of Australia A.
Malaysia A and B teams manager Robert Lu expressed optimism that his bowlers are capable of winning more medals even though they are not leading the rest of the pack. “There is eight more games to go tomorrow and anything can happen. You cannot fumble because one low game (180 pins) will cost you,” he said. The vice president of the Amateur Tenpin Bowling of Sarawak said if the Malaysians can bowl like in the first three days, they stand a good chance of making it to the top three for the step-ladders finals.